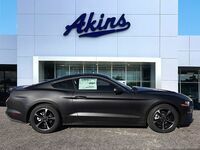 By now, everyone knows the Ford Mustang is the world’s best-selling two-door sports coupe, but does that really make it the best two-door sports coupe option out there? We sure think so, but we’re probably a little biased considering we’re a Ford dealer – which means we’re going to have to put our theory to the test. 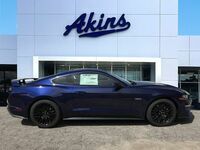 And what better way to do that than to put the new Mustang lineup up against one of its toughest competitors? 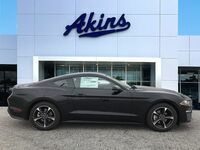 More specifically, let’s see how things play out in this 2019 Ford Mustang versus 2019 Chevy Camaro head-to-head two-door sports coupe comparison. 310 HP & 350 lb-ft. Standard Power Ratings 275 HP & 295 lb-ft.
460 HP & 420 lb-ft. 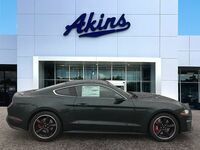 Available Power Ratings 335 HP & 284 lb-ft.
Before we get into all the reasons why the 2019 Ford Mustang is a better option than the 2019 Chevrolet Camaro, let’s first check out the one area where the two models are similar – engine options. Both model lineups offer you the choice between two engines. But those engines are far from similar, as the 2019 Ford Mustang lineup features standard power ratings of 310 horsepower and 350 pound-feet of torque and available power ratings of 460 horsepower and 420 pound-feet of torque, whereas the 2019 Chevy Camaro lineup features standard power ratings of only 275 horsepower and 295 pound-feet of torque and available power ratings of only 335 horsepower and 284 pound-feet of torque. What makes that power differential even more astounding is the fact that the two model lineups get comparable gas mileage. That means you’re getting all that extra power from the 2019 Mustang lineup without having to pay for it at the pump. 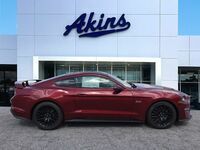 If you’d like to learn more about the 2019 Ford Mustang lineup and everything that comes along with it, please contact our staff here at Akins Ford near Atlanta, GA.